Welcome: The Veteran & Military Student Support Center at Jackson State University welcomes you! We are eager to assist you as you continue your educational journey with us and hope that your time at Jackson State University will be a rewarding experience. Congratulations and thank you on the service you have given our country. Mission: To support the mission of the Division of Student Life through the development and implementation of outreach programs designed to provide student support services focused on the special needs and requirements of today’s military veterans, service members, dependents and survivors. The Center was established to improve and enhance the success of student veterans, to help them receive the benefits they deserve, to serve as a liaison between the veteran student community and the University and to increase their academic success. The Veteran & Military Student Support Center is located on the 3rd Floor (Suite 302) of the Jacob L. Reddix Building. The staff provides assistance to student veterans, dependents, and military service members. Should you have any questions or need assistance, please contact our office at 601-979-0889. Or Via e-mail: jsuveterans@jsums.edu. Veteran Career Transition Program: JSU will ensure that student veterans complete an individualized appraisal program to reach their career potential. Resources will be provided to guide students through choosing a major, navigating their job search, enhancing their resume, and preparing for the interview process. Counseling Services: The Latasha Norman Counseling and Disability Services & ADA Compliance Centers offer support to student veterans as they transition into civilian life. This service is designed to discuss issues related to their military experience and provides mental health counseling. The Latasha Norman Counseling Center is located in the JSU Student Center on the 2nd floor. Contact number is 601-979-0374 or 1-844-246-2408. The Disability Services & ADA Compliance Center is located in the Student Center, 2nd floor Room #2110. Contact number is 601-979-3704. Veterans Work-Study Program: This program is designed to offer part-time work to veterans and service members who are currently receiving veteran education benefits. 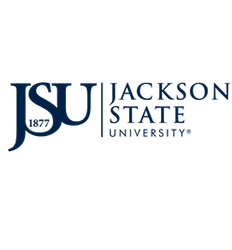 Out- of- State Tuition Waiver: JSU takes pride in being a top "Military Friendly School" and may waive out-of-state tuition for those student veterans, dependents, and service-members who qualify. Contact the Veterans and Military Center for qualification criterias at 601-979-0889.